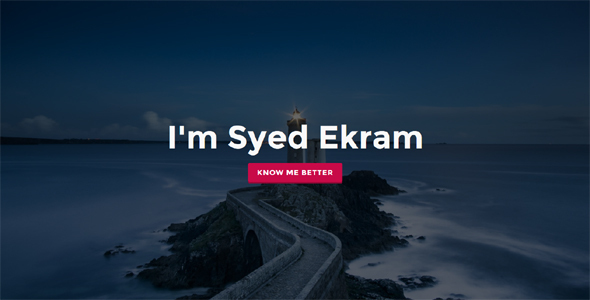 SyedEkram – Personal Portfolio HTML Template fresh and clean Design. You can use this portfolio template for: agency, personal portfolio, architect agency, photography studios, sound and music, musican, painter portfolio, artworks, art, artist portfolio, web design works, illustrators, trainer, projects, freelance designer. Just take the best Template of your choice, change the text, add your images and done!